Steep, twisting tarmac switchbacks snake 17km up through one of the most incredible mountain landscapes in the world. Tarmac turns to gravel, rock and dust halfway up the beautifully named and infamous cycling climb of Jebel Shams, or ‘Mountain of the Sun’. Terrain packed with impressive rocky peaks and canyons spreads into the distance, dotted here and there with old stone-built villages and forests of palm trees. The occasional family of wild camels can be seen grazing on scrub amongst rocks and boulders that have lain there for hundreds of thousands of years. It’s an ancient land full of myths, legends, and incredible stories; a land carved and shaped by the restless forces of the wind, sun and sand. 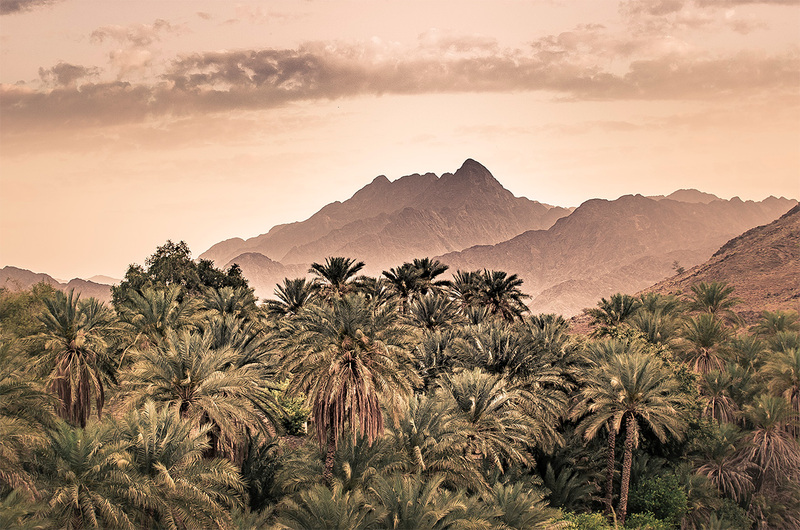 This is Oman. 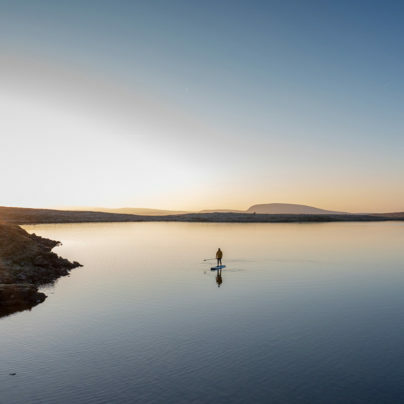 And this stunning place is home once a year, for just a few days, to a group of cyclists involved in a 1,000km self-supported bikepacking race, organised by an ultra cycling series called BikingMan. It’s a six-race season encompassing some of the worlds most exotic and toughest ultra cycling routes. Oman is the first of the year, followed by Corsica, Laos, Taiwan, Portugal, and Peru. These races are open to any and all, not just professional cyclists. BikingMan is all about adventure and human spirit. A coming together of like-minded cycling enthusiasts, with the aim of competing in extremely difficult but incredible courses. I was there to film, photograph and write about one man’s participation in the race: Jonas Deichmann. 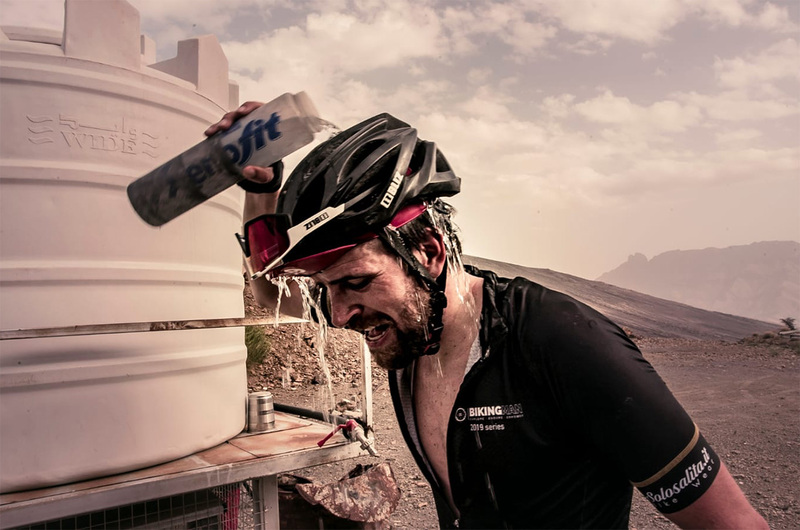 He’s an ultra cyclist with some serious road miles to his name, including a record-breaking cycle across Europe and Eurasia in 2017, and a 97-day cycle along the length of the Americas, from Alaska to the Southern tip of South America – totally unsupported bikepacking. He lives and cycles on the road. He has no home, no car, no possessions other than his bike and cycling clothes. 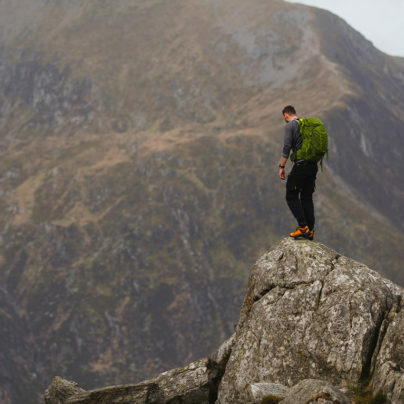 He lives an adventure-based lifestyle in its purest form. A rare and incredibly dedicated way of life. 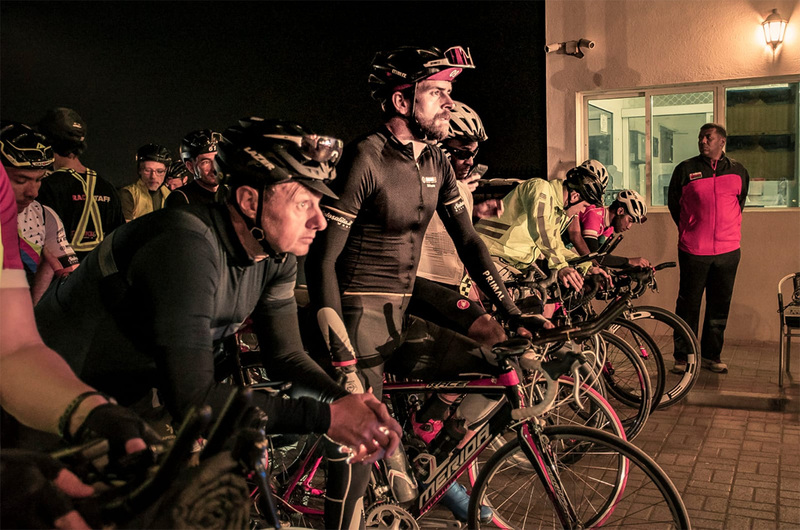 I flew to the beautiful city of Muscat, which nestles on the Arabian coast, and headed to a nearby hotel that had been taken over for the weekend as the starting point of the BikingMan race. The day before the off saw a flurry of last-minute kit checks for the 79 race entrants, well-organised media and safety briefings – and a huge amount of carb-loading. This was followed by a few hours of sleep before gathering at the start line, by the entrance to the hotel, at a yawn-inducing 3.00am. The riders’ sleepiness soon gave way to nervous tension and excitement as they lined up underneath the Red Bull inflatable start-line arch. All the colours of the rainbow adorned a dazzling display of cyclists, bikes, and LED lights. The count from 10 to 0 began, and then they were off, cycling away into the cool night-time coastal air. Once they were clear of the hectic start line, it was time for the media cars and marshals to follow them on their 1,000km adventure across Oman. I drove alone in a media car, as I was to be concentrating on following Jonas throughout the race. The aim was to drive up ahead and set up video shots, fly the drone, and take pictures in any places we found that looked amazing – which, as it turned out, was quite hard, as there were just too many amazing places to choose from. The first few hours of darkness and motorway cycling saw us turn west away from the coast and up along steeply winding village roads. The riders still kept in a close group. Even this looked extraordinary as they sped through ancient villages on their ultra-modern machines, LEDs lighting up old stone walls and buildings. The first light of Arabian morning lifted, gently, the night’s dark cloak – a light that began to reveal the full extent of Oman’s beauty. I had been driving for hours through the veil of night, unaware that all around me was a landscape of endless mountains and canyons. 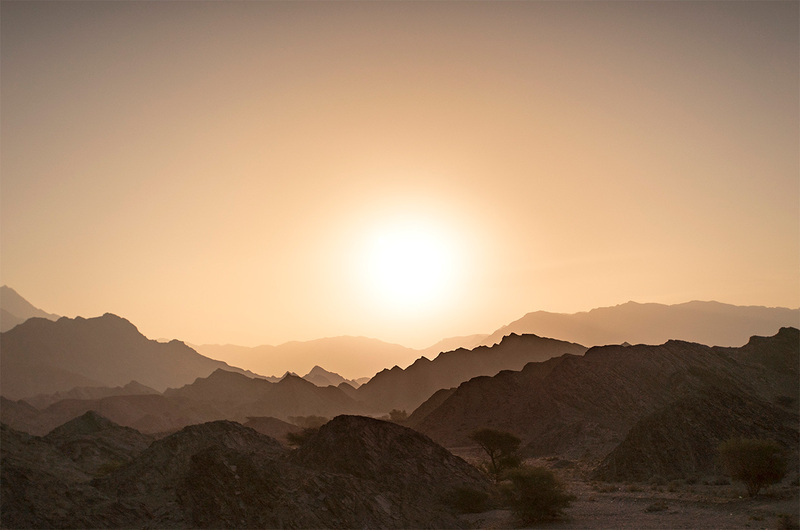 As the sun started to creep above the horizon, throwing rays of deep orange, yellow, and pink echoing the pigment in the rocky terrain, I was taken aback by the beauty that Oman had to offer. Morning relentlessly progressed towards midday. On and on the cyclists went, with just a few stops here and there for a bite to eat. No real rest. Mile after mile after mile. This is ultra cycling – a sport that takes huge fitness and, in equal doses, mental strength. On the first morning they were 200km in to the race, with a jaw-dropping 800km more to go. Jonas was doing well. By mid-morning the pack had split and the riders had spread out and settled in to their own race. They now rode alone, battling with the limits of their fitness and minds: a constant fight that only increased with every mile they cycled, every hill they attacked, and every twist and turn of the journey. Morning gave way to the hot noon sun. 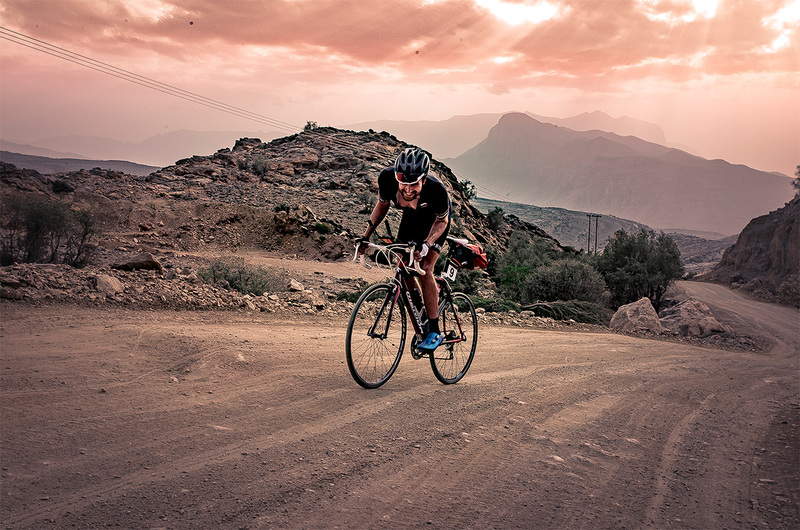 Jonas pushed on through and eventually came to one of the highlight sections of the course: the Jebel Shams climb, one of the longest and steepest in the world, taking the riders up through some truly beautiful mountain vistas. And because of the steepness of the incline, forcing the riders to a slow, punishing zigzag crawl around the endless switchbacks, it gave me time to capture not only the riders on their ascent, but also the views that came with the climb. And if the steep tarmac ramps of Jebel Shams were not enough, at roughly halfway to the top the tarmac abruptly turned to gravel and dust, making the going that much tougher. A true test of even the best cyclist grit. As the riders breached the top of the climb, they were treated to a view out across a jaw-dropping crack in the earth known as the Grand Canyon of the Middle East. Giving the US version a good run for its money, this huge fracture in the earth’s crust runs deep and winding for many miles through an awe-inspiring landscape of mountains. Jonas charged on through Oman’s wild and beautiful land. As I followed we passed friendly camel and goat herders, who would stop me with interest as I set up my camera or flew the drone. They were only too happy for me to chat with them and take pictures. Even though the incredible scenery was the trip’s main draw, the highlights for me were these brief exchanges with a culture so different to our own. Just to be able to share a moment in time, to cross paths with someone whose life is so different – to be able to share a laugh and smile, before we both then carried on with what we were doing – was so precious to me. The miles slowly but surely clocked up. On and on Jonas and the rest of the hardy cyclists went, only taking the odd catnap to recharge. Eating on the move to keep mind and muscles operating. Pedals and cranks revolving. Bike tyres making their way across hot tarmac, gravel, rock, and sand, and all the while Oman’s landscape gradually giving up its secrets for those that dared to ride such a race. At one point rocky terrain turned to a vast and golden sandy desert. Huge dunes and hot winds whipping up billions of grains into a swirling, whirling blanket of dust. It whipped its way from the dunes and across the single, arrow-straight strip of tarmac that sliced it way through the sand dunes, making its way out of the desert and on towards the coasts. Jonas cycled on through these sand-laden winds knowing that he was entering the final phase of the race. With just 100km or so of stunning coast to go, the cyclists’ views of mountains and desert turned to the deep, radiant blue of the Arabian Sea to the east. A welcome relief from the hot, dusty and steep interior, this flat ocean-hugged road wound it way back towards the race’s final destination. The beautiful town of Muttrah, a jewel in Oman’s coastal crown, awaited the riders: the finishing point of a truly magical 1,000km cycle through some of the world’s most incredible landscapes. One by one the cyclists crossed the line, tired, emotional, but triumphant and proud of their achievement. They’d each finished one of the greatest races in the world of cycling. Jonas crossed the line in an incredible 55 hours. 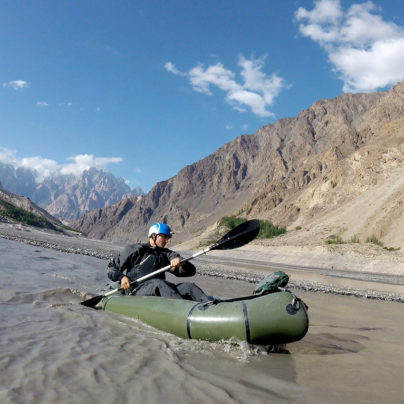 I met him to be greeted by no complaints of aches or pains, sores or blisters – instead just a big, happy smile and look in his eye that told the story of 1,000km of pure adventure and magic. This is BikingMan and this is ultra cycling. There is nothing like it.